This is a copy of the email I sent to Kelvin Thomson on April 11, 2009. I was angered at the apparent inequity inherent in the announcement of the Federal and State initiative to build a new suburb in Maribyrnong. This development will have 3000 new homes in 10 years,"equivalent to Castlemaine " which is exactly the home number and time frame for The Coburg Initiative. It was announced that there will be new schools [note the plural] included in the planning. While this is laudible it highlights what Coburg ISN'T getting. 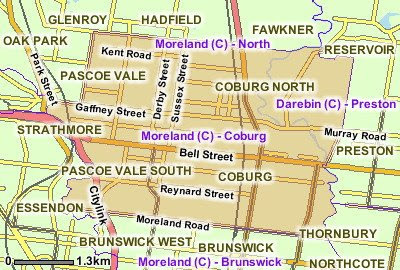 Coburg has the greatest number of young children in Moreland and the greatest expected increase in those numbers and yet in this region there are 22 pimary schools and not one high school. Coburg already has great need for a high school ,as evidenced by High School for Coburg [HSC] data and the 850 very concerned families who have joined us thus far. The primary school community ,and thus the wider one,is being dismantled as children travel to many different high schools, all out of their area. Add to this dire situation development the size of Castlemaine -not to mention Pentridge and Kodak and, unlike Maribyrnong, still we are not deemed worthy of consideration for a school. Would you please ask Bronwyn Pike and Julia Gillard to give the region from West Preston across to Pacoe Vale [which includes the Coburg Initiative] the same consideration of education provision that has apparently occurred for the new Maribyrnong suburb? Dear friends and supporters (over 800 families and individuals to date), March was campaign month for the HSC group. We sought to raise further awareness of the lack of secondary education in Coburg and its surrounds and grow our supporter base. To this end we ran two high profile campaigns at both the Sydney Road Street Party (SRSP), and at the Coburg West Primary School Fete (Coburg West being the largest school community in our proposed catchment area). Our community stall at the SRSP on Sunday 1 March, 2009 was a resounding success. We doubled our supporter base to reach a grand total of just over 500 families/individuals. The Coburg West Primary School Fete on Sunday 22 March, 2009 saw over 300 new members join our ranks in less than four hours!! These events put us in the privileged position of being able to interact with parents and learn about their concerns and opinions. This information was incredibly valuable and has been used to provide stakeholders with a vital anecdotal snapshot that statistical analysis/data alone does not provide. Parents on both days expressed a range of interesting views. The broad consensus was one of outrage and disbelief that Coburg does not have a high school. Another popularly articulated view was that people love this community and the wonderful networks they have built and are loathe to leave the area to educate their children. Moreover, there was a fervent belief and desire that a public school education would offer their children a genuine microcosm of the world and allow for diversity within an egalitarian environment. On Wednesday 11 March, 2009, Highy School for Coburg (HSC) co-founders and working party members, Cate Hall and Morena Milani were invited to Victoria's Parliament House for a round table discussion on the educational crisis facing Coburg and its broader community. In attendance were the Education Minister for the Victorian Government, Bronwyn Pike and her advisor Caitlin, Member for Pascoe Vale Christine Campbell and her Electorate Officer Kerrie and Head of the Northern Metropolitan Region of the Education Department Wayne Craig. The meeting, which had initially been scheduled for half an hour, was incredibly positive with the Education Minister giving Cate and Morena well over an hour of her time. During the discussion Cate was able to offer a most convincing and in depth statistical analysis that indicated the overwhelming need to furnish Coburg with a high school to accommodate the ever growing number of young people in the area. Morena presented a colourful anecdotal snapshot, underscoring the desire of parents to have world-class educational opportunities for their children. She also spoke passionately about the issue of overcrowding within desirable schools that has been compounded significantly by the Global Financial Crisis. Cate and Morena emerged from the meeting with a firm commitment from the Education Minister to continue their dialogue within an expeditious time frame. HSC's work with politicians is ongoing. On Tuesday 24 March 2009, members of the HSC Working Party and other concerned parents attended a meeting called by The Honourable Member for Wills, Kelvin Thomson, to establish his own working party to examine education in this region of Melbourne. The meeting resulted in a constructive exchange of views and a sharing of information and a promise to move ahead quickly with a number of strategies outlined on the evening. Recently, Kelvin Thomson gave a parliamentary address on the issue of educational disadvantage within this electorate. HSC is proud to report that Kelvin Thomson used some of our rich statistical work and that our group were named in his parliamentary speech. Like HSC, Kelvin Thomson believes that a quality educational experience is essential for a child to reach their full potential. Another exciting development saw HSC featured in The Age education section on Monday 30 March, 2009. Here Cate, on behalf of HSC, was able to provide an insightful overview of the educational landscape in HSC's proposed catchment area. Cate outlined the group's objectives, history, statistical findings and achievements. The article was most supportive of HSC's cause. In the coming weeks, primary school parents in this area will be surveyed on schooling options for their children. This survey is being co-ordinated by Christine Campbell's office. And this is where you can play a crucial role by making your voice heard!!! If you truly want this venture to succeed, then please show your support. If a quality secondary educational institution was provided within HSC's focus area, would you consider sending your children there? Do your children a favour and join the many amazing parents who believe in this area and want to educate their children here. Show that you believe in this new and exciting vision for Coburg and its larger community. With your help and your belief, we can achieve great things!!!!!!! HSC's aim is to get this message out to as many families in Coburg and its surrounds as we can. If you think you can help to distribute leaflets to primary schools, kindergartens, child care centres or children's recreational groups then please contact us now. If you are aware of any other organisations that may be able to assist this campaign through media, advertising opportunities or the provision of stationery and printing then HSC would appreciate this assistance enormously. There are some interesting points to consider based on Australian Bureau of Statistics figures relating to the area shown in the attached map (Moreland - Coburg). 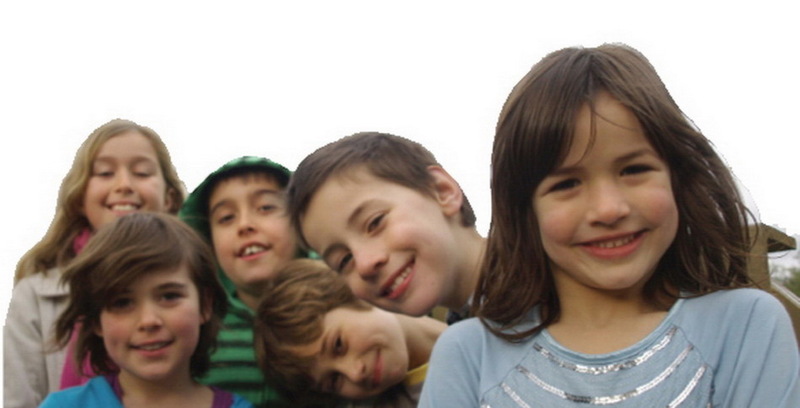 There has been a 40.28% increase in children attending pre-school between 2006 & 2001 census. This percentage equates to 234 students which may not sound like much, but that is basically the number of students in total at a medium sized primary school. Which may explain why some primary schools in the area are turning children away. There has been a 13.6% increase in the number of children attending non-government primary schools (excluding Catholic schools). There has been a 10.82% increase in the number of children (0-4) age group between 2006 & 2001 Census (equates to 312 students). There has been a 4.61% increase in the number of children (10-14) age group between 2006 & 2001 Census (equates to 115 students) . 755 students would be looking for placements in 2018 (give or take all the families that decide to leave prior to this occurring). In terms of dwellings, the number of "separate houses" remains fairly static, with increases in other types of properties eg. townhouses, flats/units etc. Interestingly, this equates to 962 properties from 1996 - 2006 (not including the Kodak or Pentridge developments which are set to increase the number of dwellings in the area). Which doesn't replace "family home numbers" as they seem to remain static. Oversimplified this means families move out of the Coburg area when they need to access secondary schooling for their children. Click on the link below to view Excel spreadsheet data supporting these statements in more detail.